So you’re at a party and you see a table laid out like this, which are you most likely to grab? 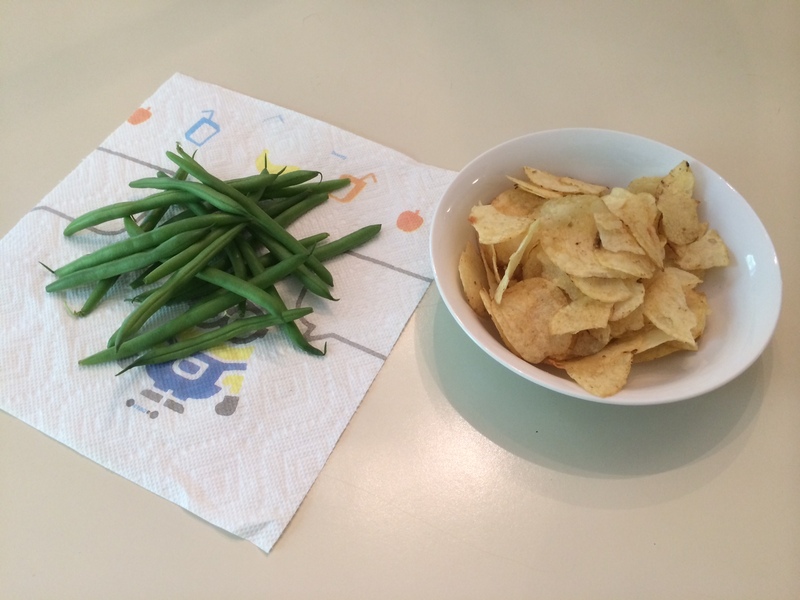 Most people would opt for the chips of course, because “that’s what we usually crunch on at an affair”, but if you decide to grab a few peas instead you might actually find them more enjoyable. That’s right. We’ve all heard it before: “Broccoli, peas, carrots and celery are acquired tastes, – chips and dip are what really taste good” But do you really believe that? 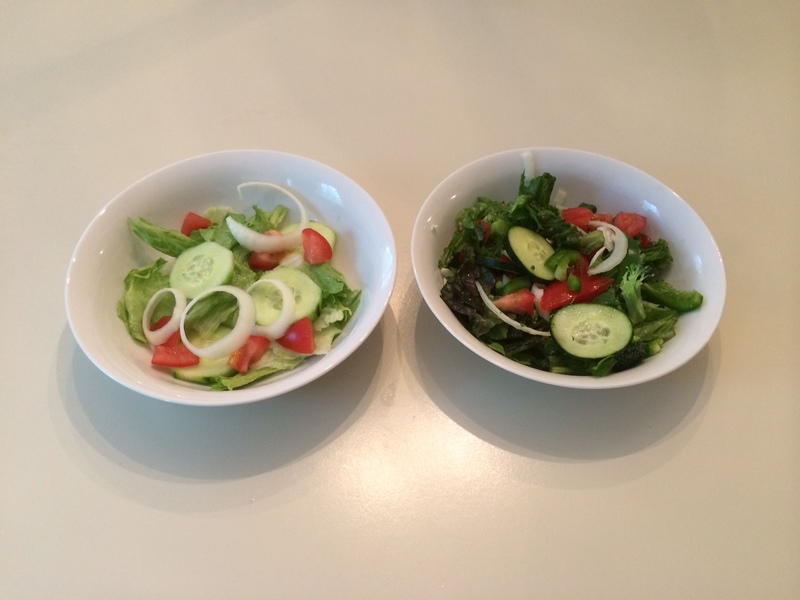 Which one of these salads do you think would taste better? This net overall time and cost would be even less if you chopped up a pile in advance and kept them in a bag in the fridge. Now a salad is a great start to any meal, it pretty much ensures that you get all the vitamins/minerals and phytos that you require for health, and causes you to eat less net calories with the meal. When you’re filling that bag, 2 minutes more to make it tasty and healthy pay off all week long, as you dig into it multiple times. This is an example of adding “intelligent design” to your consumption plans. 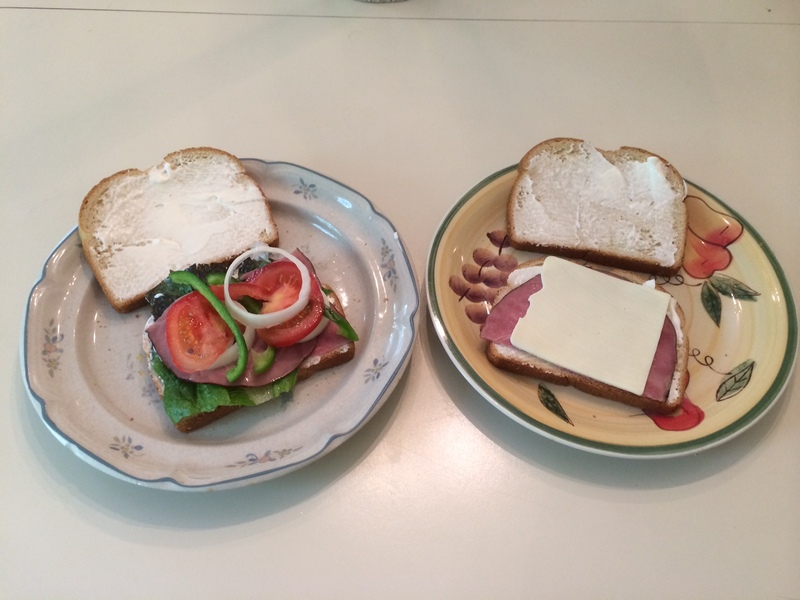 How bout this one – which sandwich are you most likely to prepare? I also grabbed a handful of chips to go with it by the way. I’m not about abstinence, but only enrichment of your overall diet. Taking a minute to plan in advance and keep the good stuff around pays out loads in the way you feel and perform in life. Remember that the foods you eat most often are the ones that are going to show up in your face, and your body. If you can get your own habits on your side you’ll really notice the difference over time. 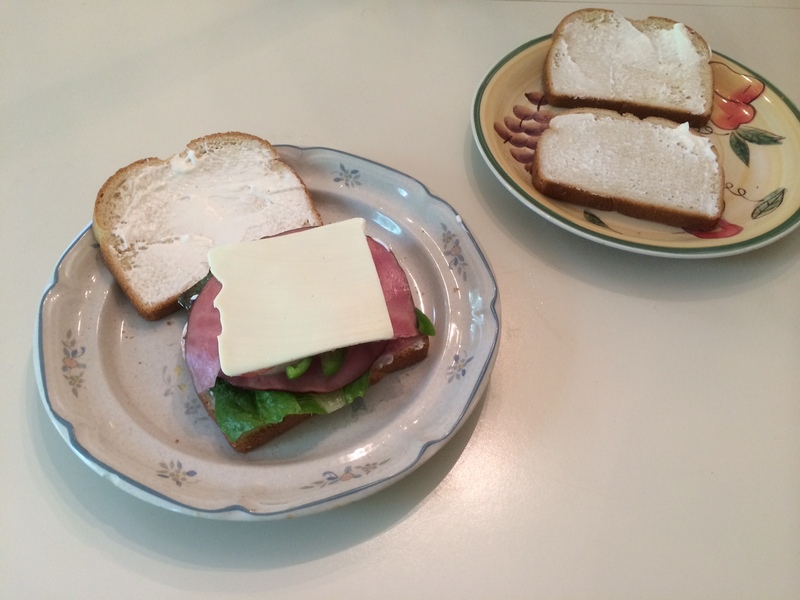 This entry was posted in Diet, habits, Uncategorized and tagged diet, enjoyment, food, health, preparation, salads. Bookmark the permalink.